← John W. Hobbs Corp. 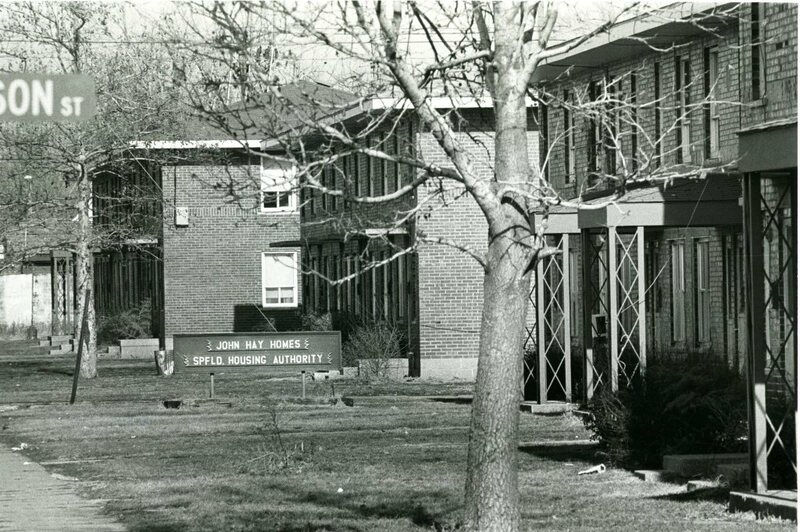 The John Hay Homes was a 599-unit public housing complex built in 1940 in Springfield and demolished in 1997. When built, the Hay Homes replaced a slum neighhborhood known as the Badlands, and the townhouse-style complex was designed for middle-class families. “It was the place to be,” former Springfield Housing Authority chairman Willis Logan — who lived in the complex as a child — told Illinois Issues’ Jennifer Davis in 1997. However, changes in federal housing policy over the ensuing decades led to complexes like the Hay Homes becoming pockets of poverty and crime. The former Hay Homes neighborhood (11th to 16th streets and Jefferson to Reynolds streets) now is a mixed-use development, Madison Park Place, that contains 144 rental units and 50 rent-to-own homes. The State Journal-Register in 2009 declared Madison Park Place “a visible victory” in public housing improvement. 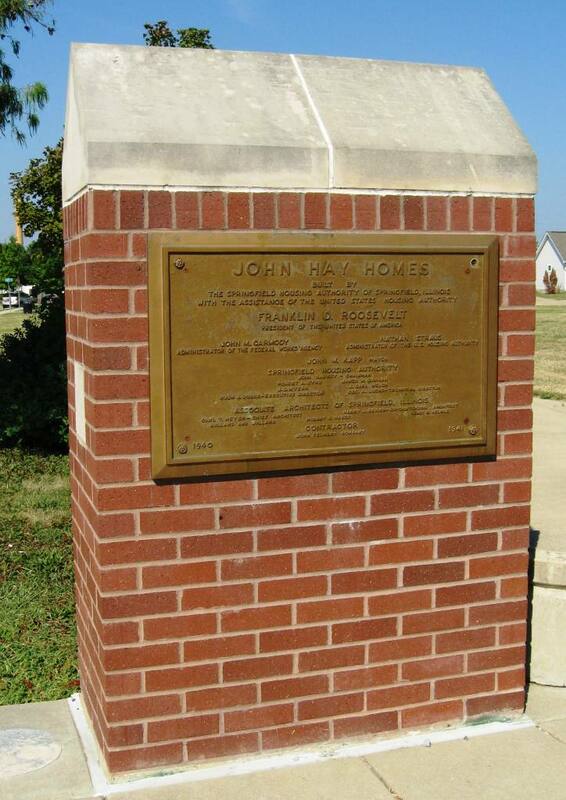 The only tangible remembrance of the Hay Homes in Madison Park Place is the original plaque from the Hay Homes’ opening, which has been reinstalled on a brick column at the entrance to a pocket park in the 1400 block of East Madison Street. Who was John Hay? John Milton Hay (1838-1905) was one of Abraham Lincoln’s secretaries as president; he later co-wrote a 10-volume biography of Lincoln. He also was secretary of state under Presidents William McKinley and Theodore Roosevelt, a period during which he helped negotiate the end of the Spanish-American War. 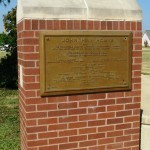 As a young man, Hay was educated for about two years in Springfield and clerked for his uncle, Milton Hay, whose law office was next-door to Lincoln’s. This entry was posted in Buildings, Local government, Parks, Prominent figures, Social services, Uncategorized and tagged Badlands, John Hay. Bookmark the permalink. I just wished that there were a lot of blacks that would stand up for not only themselves but the life of others. I grew up in the John Hay Homes, and there is where I went to church services and got to know the holy Bible. I heard that the housing authority in Springfield was given a grant in the amount of 50,000 dollars that was not spent on the units. That is why it is so hard for those that are black to receive anything. I pray that things will get better for the future of our coming generation.